Gary Frier is a skilled artist from Cape Town. 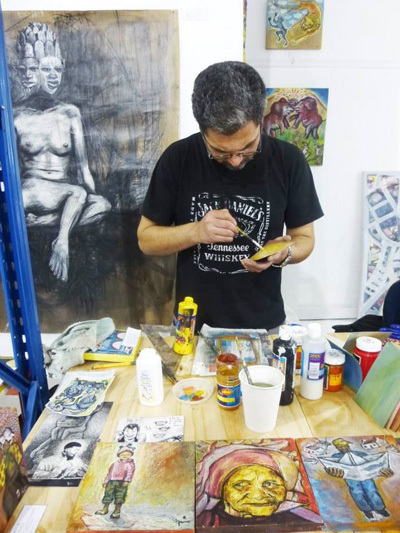 He has participated in a number of South African and European residencies and exchanges. Alongside working as an artist he also runs art classes and workshops with children in the Cape. His work has a strong graphic quality, which lends itself well to printmaking. If you are on facebook take a look at his page, The Art of Gary Frier. Frier focuses on carefully drawn and painted human figures and is intrigued by the way a two-dimensional image can convey much of the personality of the person that he chooses to depict. His work combines elements of contemporary and historical Africa, juxtaposing masks, fabric details and a vivid sense of colour with urban figures. 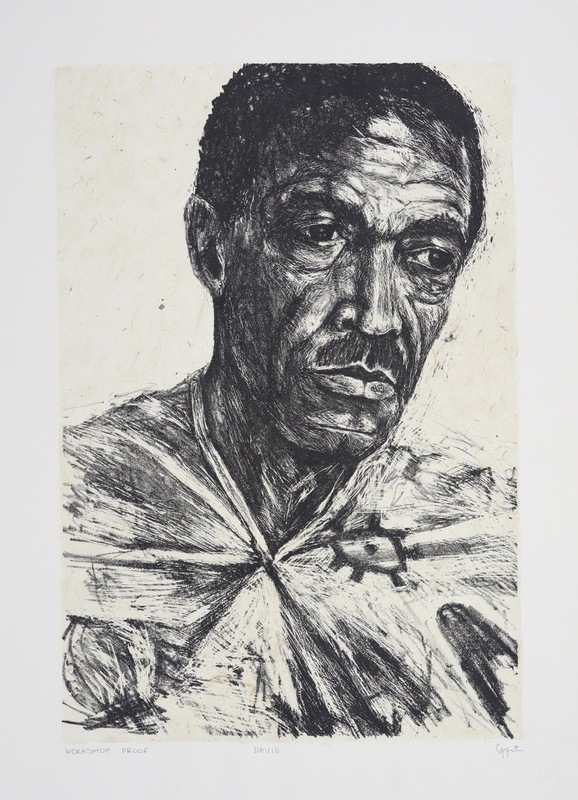 Many years ago whilst doing his residency at the Fordsburg Artists Studios he did this portrait of David Koloane. At the time Koloane was one of the directors of the studios. Koloane still has a studio at The Bag Factory and continues to make artworks and is a key figure in the South African art world. The strength of his personality and the fine lines of his face are beautifully captured in this portrait.